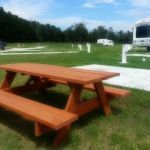 Ask fellow campers about "Gray's Landing RV Park" and nearby attractions. Relatively new park; nice power pedestals. All back-in spots. Reasonably priced laundry. The best wifi I've had at a park yet. However, all these things take maintenance, which I think the park owner is not doing. 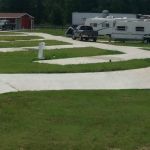 Nice concrete pads are covered with dirt from heavy spring rains. Asphalt parking along the pads is crumbling and deteriorating. The bathrooms are absolutely the worst I've seen. New construction, like everything else, but no concern for cleaning or ventilating. The shower curtains and ceiling are mildewed, and the smell is strong. Bugs of the creeping and flying kind are everywhere. I stayed for a week and the bathrooms were not cleaned once. 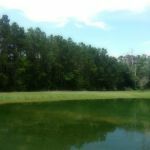 We camped at Gray's Landing RV Park in a Motorhome. 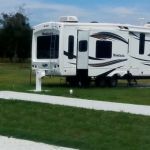 Are you affiliated with Gray's Landing RV Park ?